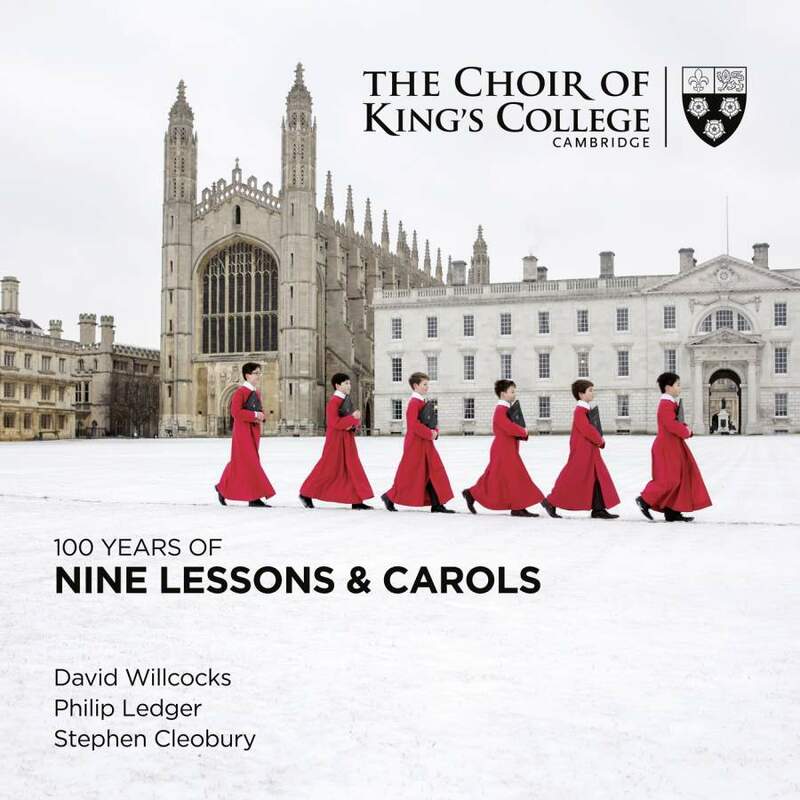 This CD is not exactly 100 years of Nine Lessons and Carols¹ but it is the 100th anniversary of the first service of nine lessons and carols in King’s College, Cambridge devised by Eric Milner-White in 1918². What we actually have is a fitting tribute to this long history of carol singing within the unique acoustic of King’s College Chapel. The first part comprises of 16 new recordings under the direction of Stephen Cleobury. The second part contains a wide range of carols taken from live BBC recordings between 1958 and 2017 and include carols under the direction of not only Stephen Cleobury but also his successors Philip Ledger and David Willcocks. The new recordings include a near perfect mix of family favourites and some of the inspired new works commissioned by Stephen Cleobury all performed to the high standard that we have come to expect from this esteemed choir. The second CD once again has a balance of well-known and not quite so familiar carols. Sadly given the title of the release there are no performances under the direction of Boris Ord (1929-1957) or of Harold Darke (Ord’s stand-in during World War II). However what is does is provide an interesting comparison of styles of performance across the last four decades of the twentieth century. Overall a most welcome addition to the flurry of seasonal issues that will no doubt bring pleasure to many during the build up to Christmas. Highly recommended. ¹ There is a splendid CD of a full Service of Nine Lessons and Carols recorded between 12-14 December 1998 in Chapel of King’s College, Cambridge available from Warner Classics. ² The service quickly became very popular and was first broadcast on radio in 1928. Since 1931 it has been broadcast on radio every years since and is currently enjoyed by millions of Radio 4 listeners on Christmas Eve. Note that the TV broadcast Carols from King’s is pre-recorded in early or mid-December and then shown on Christmas Eve in the UK – it is not the actual Service of Nine Lessons and Carols.